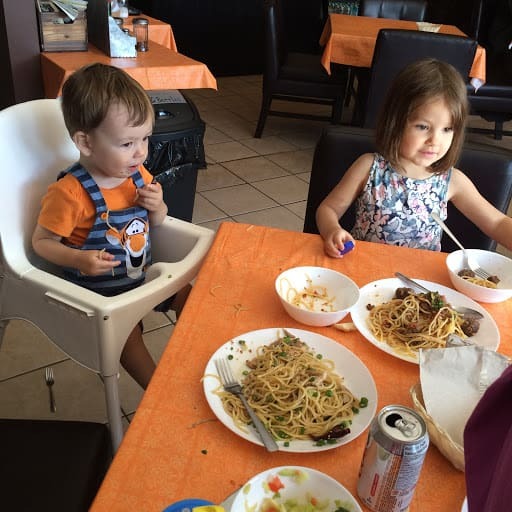 Kid comfort level: 9/10 – The restaurant is casual and the food is kid friendly but the space is fairly small so you are in full view of the rest of the restaurant. Spaghetti Cafe Prairie is a unique restaurant in Calgary. 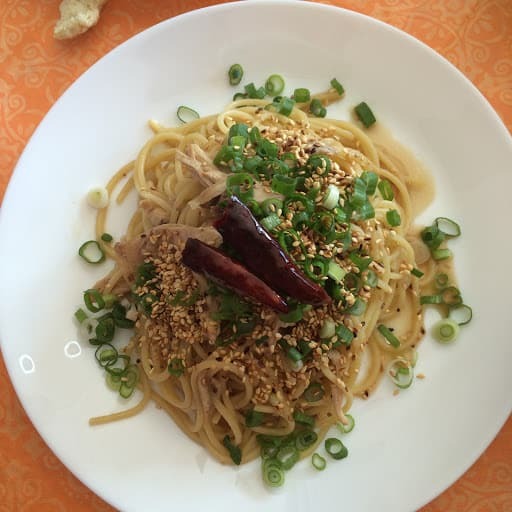 The restaurant is a Japanese take on quick and inexpensive Italian spaghetti. The menu isn’t quite your typical Italian restaurant, but it will probably remind you more of Italian food than Japanese. 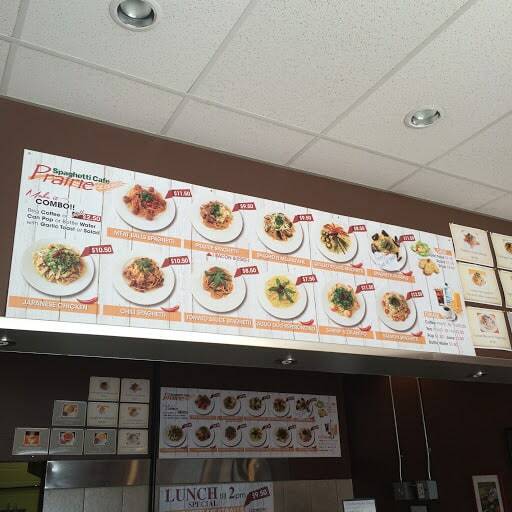 In addition to a couple of soups and side dishes, the menu consists exclusively of different preparations of spaghetti. 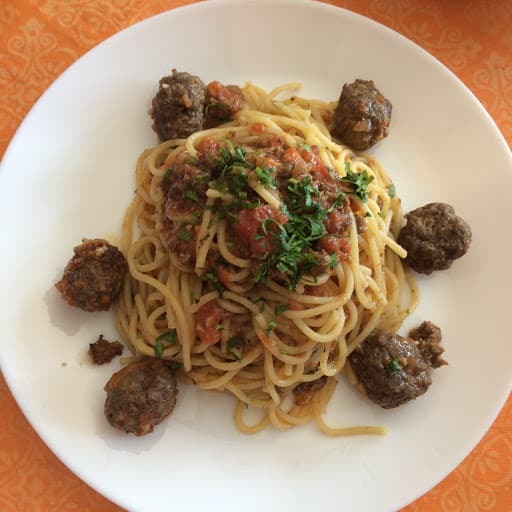 From kid friendly spaghetti and meatballs or spaghetti and tomato sauce to more unexpected options like Japanese chicken spaghetti and shrimp and cilantro spaghetti. 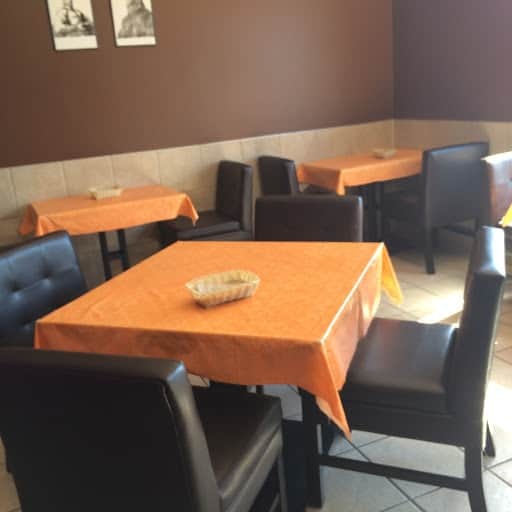 The restaurant space isn’t huge but there are a couple of tables that seat four and several that seat two. You order at the counter and then they bring it to your table when it’s ready. For a small additional charge you can get your spaghetti as a combo with a drink and either a green salad or garlic bread. We tried them both on our visit. 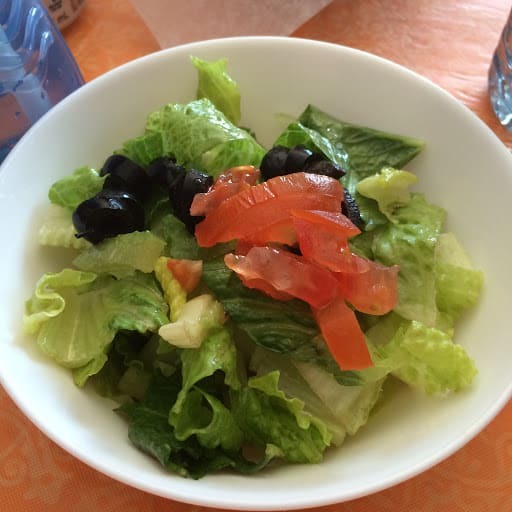 The salad was simple but well dressed. The garlic bread was much better than I had expected. 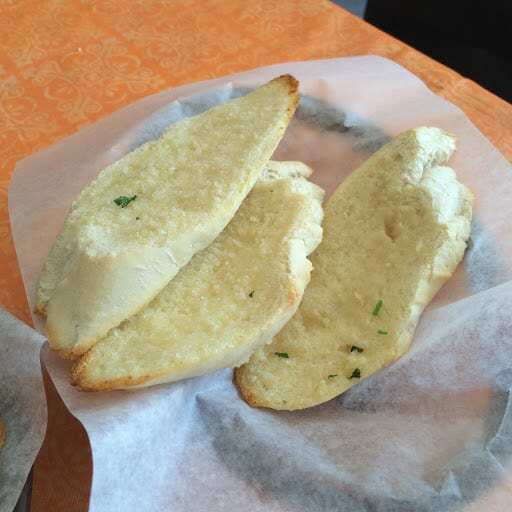 The bread was cut thinner than the common ‘pizza place’ garlic bread and it was less crunchy. It was simple but delicious. The kids split the spaghetti and meatballs. They don’t over do the sauce so it makes it a less messy to eat than you might expect. The meatballs are good but a little different from what you might be used to. I tried the Japanese chicken spaghetti. The flavours weren’t over powering. I liked it but I think I would try something else next time. 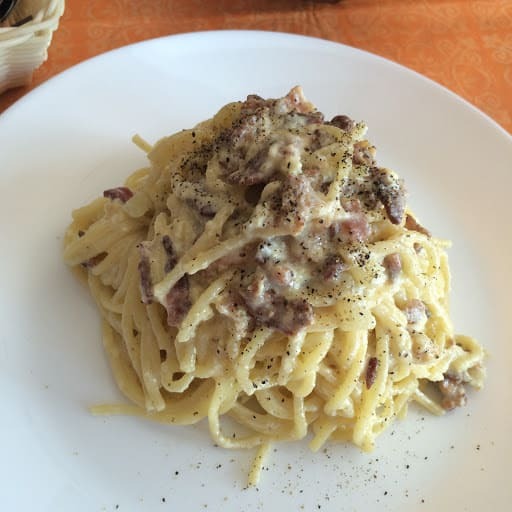 My mom was with us and tried the spaghetti cabonara which was really creamy. The portions were big and we ended up taking leftovers home. 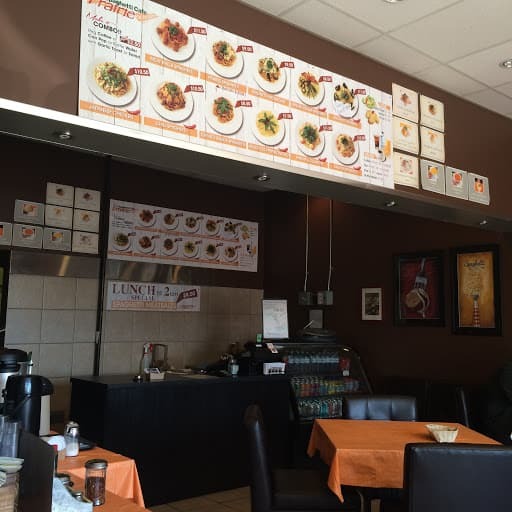 We really enjoyed trying out Spaghetti Cafe Prairie and would happily eat there again. 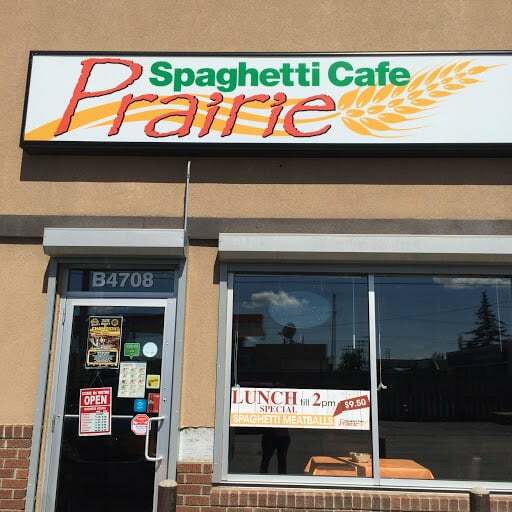 Have you been to Spaghetti Cafe Prairie? What did you think?